What have we been up to lately? 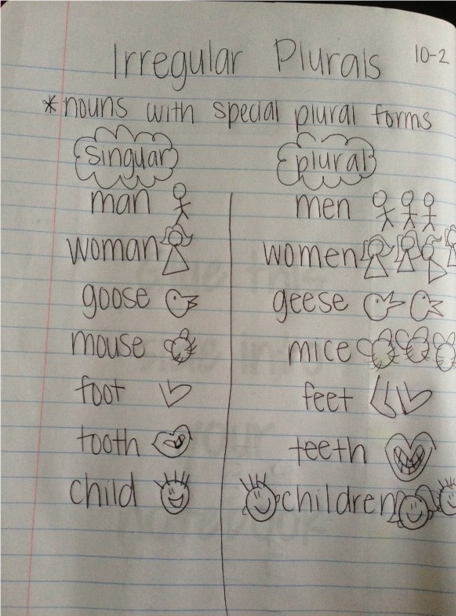 Grammar notebooks! Well, my students don’t actually have grammar notebooks, they have reading notebooks. 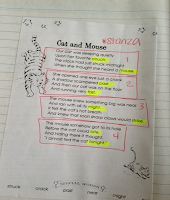 In our reading interactive notebooks we keep reading foldables, grammar foldables, poetry, guided reading notes, and writing/thinking organizers. As you can imagine, we are in these notebooks multiple times a day; which is why our super cute ribbon bookmarks come in so handy. I have used interactive notebooks ever since I started teaching three years ago, but this year I really wanted to focus on using a reading and math interactive notebook. 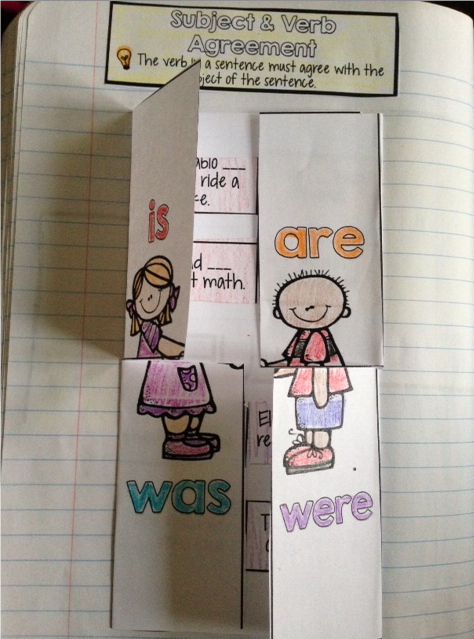 I have dabbled with math foldable’s before, but I had never done a reading interactive notebook. 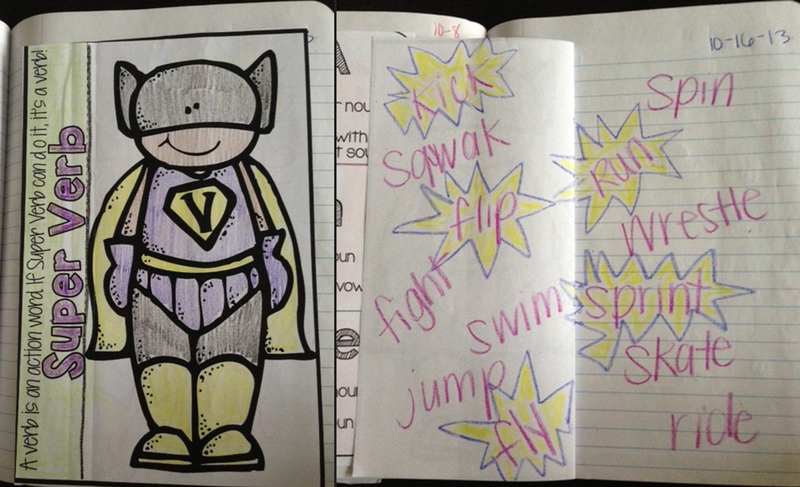 My focus with interactive notebooks in the past was social studies and science. So with this in mind, I set to work over the summer creating all sorts of foldables to make it easy for myself to stick to my goal and actually use an interactive notebook in reading and math. Below you will find pictures of my reading interactive notebook (stay tuned for pictures of my math interactive notebook). As I said before I keep everything reading in our reading interactive notebooks, which is a lot, but I wanted to make sure everything was kept in one place since I was just starting out. I had a fear of under-using the notebooks and eventually giving up on my goal with them. I plan on fine-tuning for next year and maybe having separate notebooks for certain topics. As for now, things are going swimmingly. 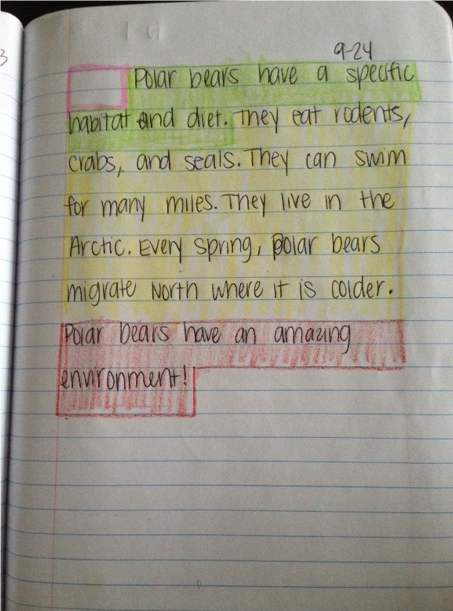 Since there is so much that goes into this notebook, students are really taking ownership. 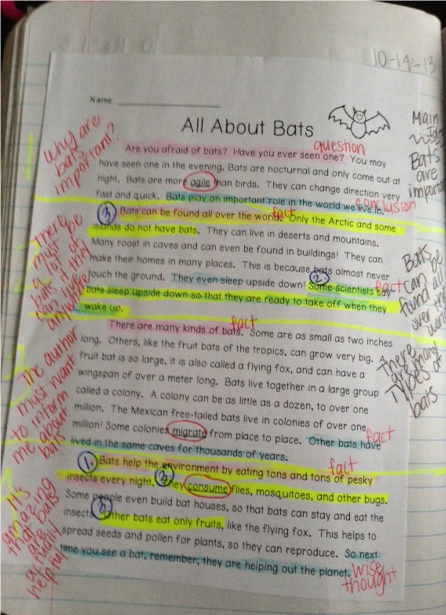 At first it was like pulling teeth to get my students to color or add their own flair. But now, they ask if they can go back and add to assignments if they have free time. 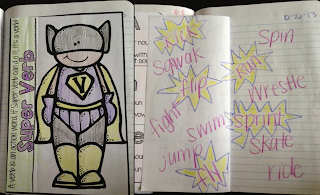 Utilizing the interactive notebooks has also helped me feel more confident about my lessons. When I follow up a mini lesson with an interactive notebook sort or activity, I can quickly walk around and see who understood the concept. Since I created a foldable for every strand before the school year even began, it’s really keeping me consistent and accountable. I can’t get lazy or make any excuses because it’s already done for me. Not to mention, the students ask if they know we’re starting a new skill and I don’t whip out a foldable eventually. I am enjoying seeing our notebooks grow; although I am thinking we’re going to need a volume two by the end of the second quarter. I will try my best to leave links to where I found certain activities, a lot of my grammar or reading notebook foldables can be found in my store. Our notebooks are getting fat! Thank you so much for making this stuff–it's so difficult to find stuff that aligns with our Virginia standards. I just bought your package on TPT and know my kids are going to love it. 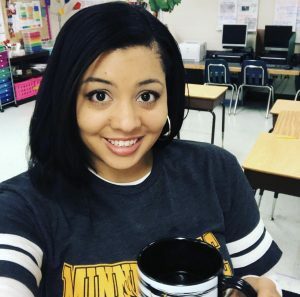 I'm your newest follower on Bloglovin…I found you through Pinterest! 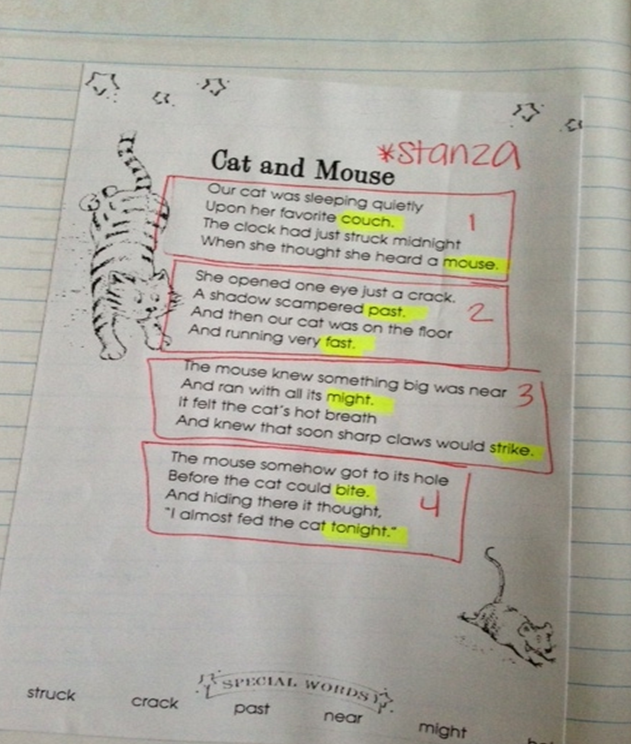 I'm using interactive notebooks in my classroom too (I teach 4th and 5th Language Arts and Social Studies). Do you have 'sections' in your notebooks, or do you just put things in as you go along? I've been having my kids put things in different sections of their notebooks, but find that they get confused about where things are supposed to go, and sometimes put them in the wrong place.